Medusacars offers low cost car rental service with best deals online at all international and domastic airports as well as all major tourist destinations throughout Turkey. Book your low cost cheap car hire securely on line where Medusacars provides a wide choice of holiday cars from budget economy options through to luxury autos. 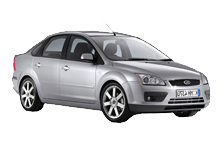 If you plan a car hire in Turkey, we can provide you easy and relaxing car rental with our friendly staff, new and well maintained vehicles at affordable rates, by being most efficient car rental company in Turkey. Our website offers you the most competitive car rental rates in Turkey. The car hire rates are seasonally categorized so that you get the right price for the right season. 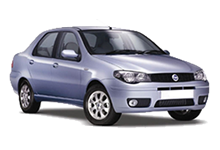 On this site you`ll find every day low prices from some of Turkey`s most reliable rental companies. To find the best deal, enter your details into our quick quote panel, then sit back and let us do the work for you. Medusacars have always been synonymous with great value for money and offer the best online car hire rentals at all international and domestic airports within Turkey and at all the major tourist destinations. With our detailed local knowledge, efficient secure online booking service and friendly staff we provide a stress free service you can rely on. We now offer a range of fully inclusive rates, pre-payment options and charge facilities designed to keep you in control and help you save money. 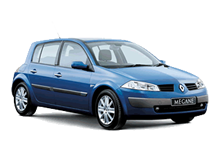 Medusacars has a wide range of cars in its fleet..... Everything from `Budget economy`to `Luxury models`available. For your peace of mind all our vehicles are safety checked and cleaned before every rental. We are constantly renewing our fleet you’ll be driving some of the very latest model vehicles all at low prices. Why hire a car ? Turkey is far more than beautiful beaches and mountain views. It is culturally and historically brimming with places of interest for all kinds of travellers. The best way to see them is to rent a car. Even if you’re the kind of holidaymaker who isn’t inclined to go far, hire a car in Turkey anyway, It gets so hot in the summer that the air conditioning alone makes it totally worth it..
Whatever and where ever your rental needs - we can deliver. !!!! Why hire a car from the airport ? It enables you to book online, having a car ready and waiting for you when you arrive and it avoids the waiting around for unreliable public transport. We offer you a comfortable ride in the vehicle of your choice and within your budget from Antalya, Bodrum, Dalaman, Izmir, Istanbul Ataturk, Kayseri and Nevsehir Airports. 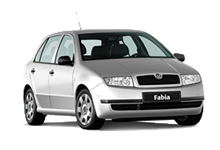 Car hire suits the needs of many whether a family or group of friends travelling together or those simply on business trips. Excellent value for money and a top quality customer service are at the forefront of Madusacars service so why not take up the opportunity to make life a little less stressful and have all your travel arrangements in place before you leave the comfort of your own home, and don`t forget having your car delivered to and collect from the airport not only saves you the expense, but the inconvenience of a transfer and allows you to enjoy the freedom of exploring this wonderful country from the moment you arrive. Enter your dates and required location. You will then see a quote for various car types. You can change the currency you wish to view your quote in. Choose the car type that suits you best. Then enter your details over a secure server, and we will do the rest. Turkey offers a lot to explore. With our customized one-way service, traveling from point A to point B is cheap. Car rental throughout Turkey is available at budget-friendly prices because we have a network of branches across the country. Pick up your car in Bodrum airport and drop it off in Dalaman airport. Or pick up in Istanbul and drop off in Antalya. With branches at all international and domastic airports as well as all major tourist destinations throughout Turkey, car hire is as convenient as it is affordable. Let’s face it – the last thing you want to be doing in a new country is wasting precious time looking at maps and getting lost! Be sure to order in-car GPS navigation with your hire. Simply plug your unit into the car’s lighter socket, enter your destination address then click “Go”! The GPS device will provide turn by turn voice instructions to your destination.